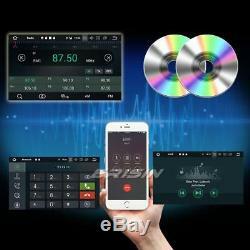 Dab + car dvd gps bluetooth 3g opel corsa c / d zafira astra h vectra c signum 3g tnt-in. 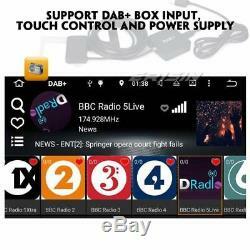 Octa core android 8.0 car radio dab + gps 4g tnt for audi a3 s3 rs3 rnse-pu vito viano. Car audio android 8.0 navi dab + opel astra corsa c vectra zafira antara vivaro. This unit is the best android because of the 8-core system with high-speed processing, the most functions can be compared with your smartphone. All-in-one design for opel / vauxhall cars with box decoder box (it cost gbp30 in the market). Unique design with two ui styles. Adopt the newest android os 8 os, 1024600 hd capacitive touch screen, octa core 1512mhz cpu, 4gb ram and 32gb internal storage, support extended 2 card / 3 usb stick up to 532gb. It has special port for digital tv box, you can connect our digital tv box to achieve touch operation, and this item can power on the connected dtv box. Built-in dab + app, just connect with our dab + box to use this function. Support 1080p videos / live images / 2160p photos, support pdf / word / txt / excel, audio / video / photo media player, surf internet through 3g / 4g or wifi, support google maps and free offline maps gps navi, get access google play store, keep connected through twitter, facebook, gtalk, gmail, wechat, skype and other services, play popular games like ninja, feed the candy, angry birds, big fish, air attack. Radio, rds, bluetooth, dvd, usb, sd, cam-in, steering wheel control, 8 panel light colors and via rgb combination, live wallpaper, diy wallpaper. Note: this unit has front panel size. 214mm (top width) 120mm (high) 198mm (bottom width). Android 8.0 O operation, two styles switchable, very beautiful and fashionable design. 7 five-point touch capacitive screen, 1024600 hd digital screen. Split screen support, you can run two apps side by side. Octa-core rockchip px5 industrial-grade chips, 1512mhz cortex a53 cpu. 4gb ram, 32gb internal memory. Support extended 2 card & 2 usb stick up to 432gb. Music / radio / bt-stereo player and clock / date / week can be displayed on main menu status bar. Built-in clock and calendar, adjustable clock / date / week / time zone, can use gps or network-provided time. Multi-languages: it has more than 180 languages ​​to select, just check it in our pictures. 8 panel light colors, and you can setup hundreds of colors via rgb combination. 5 live wallpapers, 64 wallpapers, diy support user's wallpaper from gallery pictures. Built-in wifi internet and support external 3g / 4g internet, 3g / 4g dongle is not included. Support Google maps online navigating, you can use GPS navigation if you in internet. You can use GPS navigation if you are in internet. Support dual zone function, while navigating you can listen music. Support android multimedia player, it can play music / movie / photo from local disc or connected tf card. Online entertainment, online support video, tv, movie, music, radio, youtube, yahoo, msn. Online communication, keep connected through wechat, twitter, facebook, gtalk, gmail and other services. Support read and edit official software, word / excel / powerpoint / pdf / txt. Support google play store, you can download many popular games like ninja fruit, feed the candy, angry birds, fieldrunner, speed forge 3d .. 3d games support, hd video, 1080p, h. 264, divx live images formats. Support hd videos up to 19201080 pixels, up photo to 40964096 pixels. Bluetooth hands-free function support, built-in microphone and external microphone jack. Torque pro (obd2 & car). You can connect to an elm327 bluetooth obd2 scanner tool to use this function. For your cd, vcd, dvd ... Usb port and micro sd slot, support usb stick and memory card up to 32gb. Just connect with a camera to use record function. The records will be saved automatically, and you can record this record directly. Just connect to dab / dab + box with usb port to use this function. Built-in tpms system, just connect with a tpms product through usb to use this function. 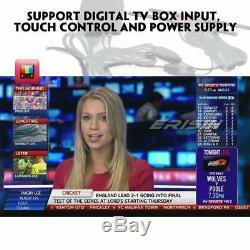 Box (dvb-t / t2, atsc, isdb) input, touch control and power supply. 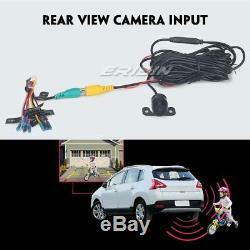 Rear view camera input and reverse trigger control. Wheel steering control bracket, special canbus decoder incl. Hand brake control, electronic anti-shock, last position memory. General - power supply: 12v DC (allowance range: 10.8-14.5v) - max. Read and edit office software: yes, word support, excel, powerpoint, pdf, audio txt - format: mp3, wma, mp2, ogg, aac, ma4, flac, ape, wav etc. Asf, ts, tp, 3gp, mpg ect. = 30 formats, playing internet video directly (while downloading) - play: up to 19201080 pixels, 30mb. Fluent play without light - video output: common video output (av) - operation system: android 8.0 - support maps: igo, sygic maps for android 8.0 - ready to use: yes - voice guidance: yes - support 2d / 3d map views: yes - dual zone: yes, navigating while music playing - online navi: yes, google maps support online navigating dvd - decode ic: 8202tq - compatible format: mp4, avi, divx, dvd, vcd, mp3, cd, wma, jpeg - osd / audio / subtitle language: english, italian, french, spanish, portuguese, german, russian ... Auto-save function: yes, all languages ​​of the phone - bluetooth stereo - hands free: yes - a2dp music: yes, can play stereo music through Bluetooth - bluetooth music control: yes, play / pause / previous / next - pb-download: yes, can download phonebook from mobile to this - pb-search: yes, can use the first call to search contact member in pb-listings - call records: yes, dialed call, received call, answered call - setup: auto answer, aut o connect, device name - built-in microphone: yes, on the front panel - external jack microphone: yes, on the back, external mic. Play by revolve, powerpoint support 40964096 pixels - wallpapers: 5 live wallpapers, 64 standard wallpapers, diy wallpaper from gallery - apk install: support android install - split screen, you can run two apps side by side - support torque pro ( obd2 & car): yes, you can connect to bluetooth obd2 scanner tool to use this function - support mirror link function: yes, support screen mirroring from iphone and android smartphone setup - network & internet: wifi / hotspot / vpn / airplane mode - connected devices: bluetooth settings and connecting - apps & notifications: apps info / notifications / app permissions / default apps, special app - display: brightness level, wallpaper, font size, night display and assistive touch - wallpaper: wallpapers, live wallpapers, gallery - sound: key tone, volumes, default notification sound, default alarm sound - storage: storage manager, internal shared storage, and portable storage - security & location:: location / device admin apps / apps with usage access - users & accounts: add account / automatically sync data - accessibility: yes - car settings: item / steering wheel keys / booster / navigations / driving settings / extra settings / factory settings - item: 8 panel light colors, support rgb combination - amplifier: rock / pop / jazz / classic / flat / voice / custom - navigation: yes, navigation application options, monitoring, sound mode, mixing ratio, gps monitor - driving safety statusbar while driving. Network settings for the app while driving - extra settings: shutdown delay when you go off Choose reversing x-mirror, reversing volume, reversing trajectory display, radar parking display and rear view ruler on / off when needed - factory settings: code 126, choose radio band, voice levels, canbus types, and 88 open-unit-logos - google services & preferences - system: languages ​​& input / date & time / backup / mcu & system updates / reset / about machine - languages ​​& input: more than 180 languages gps / network-provided time & time zone - about machine: display parameter info. 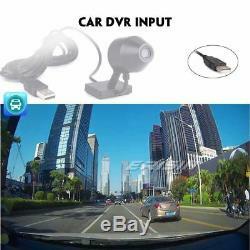 Input - to video in: one - rear view camera video in: one - external microphone in: one - to the audio in: r / l - tpms box in: one - dtv box in: one - dab + box in: one - car dvr in: one - radio antenna in: one - gps antenna in: one output - video out: two - audio out: en / fl / rr / rl - surround stereo out: 445w - subwoofer out: one accessories - 1user's manual en français - 1rca cable input - 1rca camera cable input - 1rca av cable - 1power cable with quadlock harness - 1power cable with iso connector - 1special canbus decoder box - 1usb and 1mg antenna - 1gb antenna - 1remote controller excluded). Support extended 1 card & 3 usb stick up to 532gb. Where are we going to ship? We ship to the following country only: europe union countries (canarias, reunion, martinique, guadeloupe, french bolivia and so on excluded islands). The expedition will be organized from Hong Kong. Please check your address when placing your order. We are not responsible for any wrong or undeliverable addresses. No po box address acceptance. We will not be responsible for incorrect or undeliverable addresses once we send: 1. You could not reroute 2. You could not stand to pick up 3. You could not correct the address - price and delivery cost do not include the remote area service handling fee, which charged by the shipping company, it is 30 eur. If the buyer asks us to return the parcel, the buyer should be responsible for all the return and return postage. Above is the courier company policy, thanks for your understanding and attention. Packages will be processed within 24-48 hours after receipt of payment (except weekends and festivals). Please test the product before installation, even if we test before shipping, make sure everything is fine for. We are not responsible for installation fees. All our items are guaranteed within one year. If you do not receive the item or have any problem for the package, please do not contact us before any neutral or negative feedback or dispute. United Kingdom local warranty, if it is confirmed defective, you can send it to our UK office for exchange or repair. - we are just real uk local seller. For non-defective returns, processing and handling will be collected. It is the customer's responsibility to pay the cost of return. We will return it at our own expense if the item has confirmed as defective. It is necessary and very serious! - we will return a new item / refund only after receiving the return of one of the clients. Disassembled or repaired by unauthorized person 2. Damaged by: excessive wear, dirt, misuse, improper installation, accident 3. Any damage caused by improper packaging when returning the item back to us . 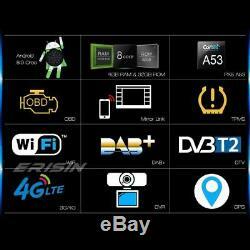 Octa core android 8.0 dab + car radio gps navi bmw m3 e46 3er 320 mg zt rover 75 tnt-in 3g. 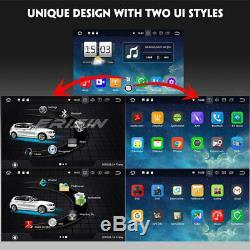 Android 8.0 Dual 2 Din Car GPS Navigation dab + bluetoothtpms 4g obd tnt obd 3g. Android 8.0 car stereo navi dab + bt dvd tnt for ford focus worldo s / c-max galaxy skoda. Listing and template services provided by inkfrog. The item "android radio 8.0 navi dab + opel astra hc corsa vectra zafira antara vivaro" is for sale since Wednesday, September 5, 2018. It is in the category "auto, motorcycle parts, accessories \ car radios, hi-fi, video , gps \ gps, navigation \ integrated gps ". The seller is "erisincaraudio" and is located at 1 year eu-warranty.